One of my favorite things about football season is the time we get to spend with friends and family celebrating our favorite college teams. While I am an avid LSU fan, I just genuinely enjoy college football. Whether at the game or at our house, tailgating is one of our favorite things to do for college football. We love to spend time with family and friends and root for our favorite teams. When we can’t make it to a game, we hang out at our house and always enjoy making yummy desserts and appetizers for everyone to enjoy. 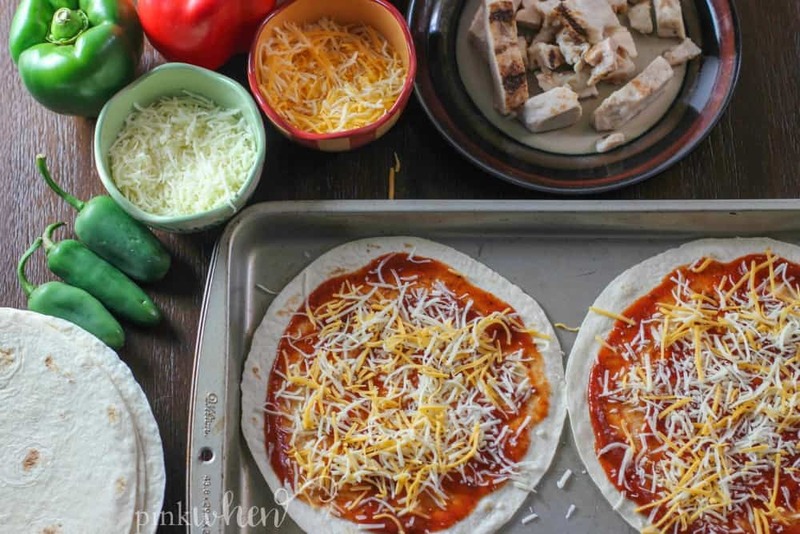 One of the most popular recipes is our Fajita Chicken Mexican Pizza. It’s a crowd pleaser for all, and one that disappears in an instant. College football equals food and fun at our house, and this Fajita Chicken Mexican Pizza is one of our favorites. 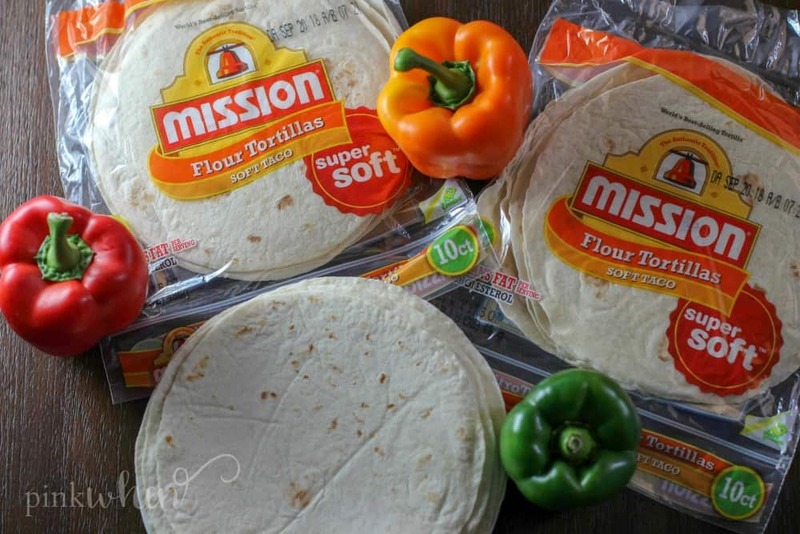 We use Mission Super Soft Flour Tortillas, and the best part about this recipe is how easy it is to change up. The sky is the limit when it comes to toppings and sauces. We love to make our pizzas with chicken and pepperoni, but you can add anything you want and still have a great tasting pizza. The tortillas is really the most important. 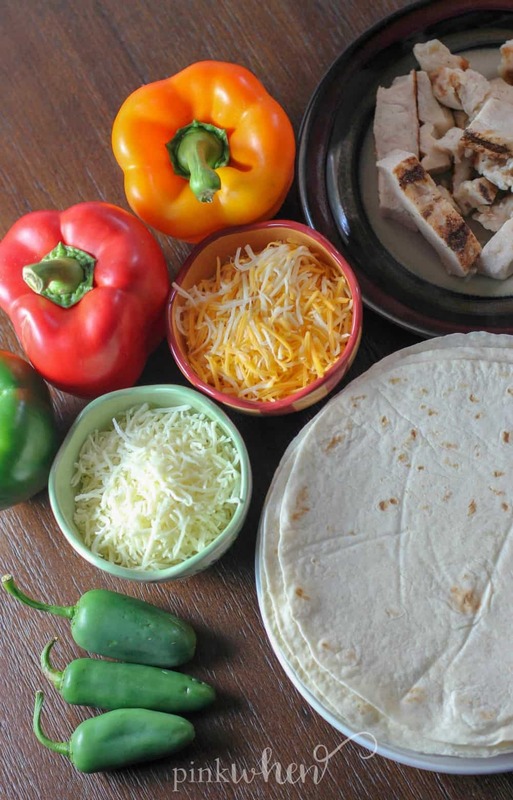 Mission Super Soft Tortillas are the perfect size for this Fajita Chicken Mexican Pizza recipe. You can cut it in triangles or serve as a whole pie! The tortillas (best served warm) are soft and are easy to use for a variety of dishes. We’ve used Alfredo sauce, chicken, and jalapeno for a spicy kick. Another favorite is using fajita chicken, pineapple, and your favorite barbecue sauce for another fun twist. To get started heat the oven to 350 F.
Grab a cookie sheet and place 2 flour tortillas. Spread your favorite pizza sauce. Add the fajita chicken, pepperoni, hard salami, bell peppers, and cheese. 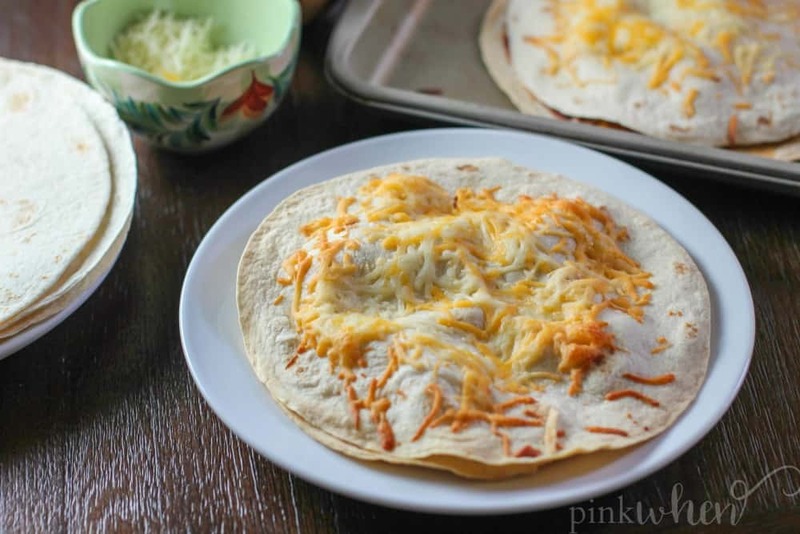 Mission Super Soft Flour Tortillas are what make these pizzas the best and what makes these the most versatile of our tailgating recipes. While the tortillas stay the same, the ingredients and flavors can change whenever you want! You still have the same great tasting tortillas that make these recipes so great. Did I mention they are the perfect size for a homemade Mexican Pizza? This is by far one of our favorite tailgating recipes and one we make several times throughout the season. It’s also so easy to change things up. 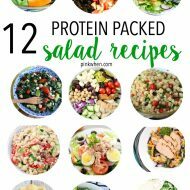 Make it with all meat, all chicken, or all vegetables. You can also change up the sauces and play around with different cheeses. What are your favorite tailgating recipes? Do you enjoy watching college football with friends and family? 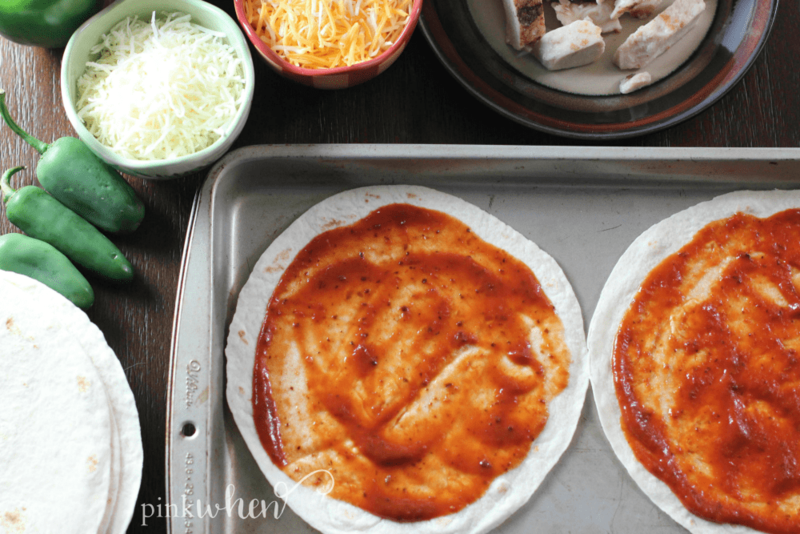 You can make these awesome Fajita Chicken Mexican Pizzas for any occasion. 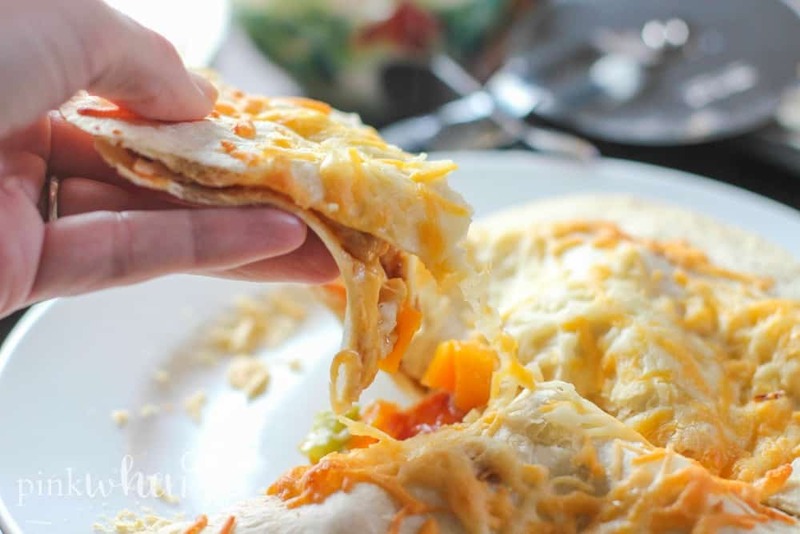 Make sure you go and grab some Mission Super Soft Flour Tortillas for your next gathering and make a few of these yummy pizzas. They are available nationwide and you can find them in your local store’s bread or tortilla aisle! You can use the store locator and find more recipes at Mission Super Soft! 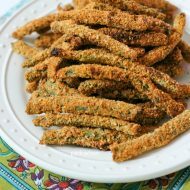 Let me know if you decide to try this recipe out! 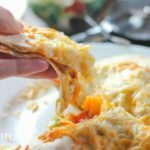 A perfect quick and easy weeknight dinner, this fajita chicken Mexican pizza is a family favorite. Dress it up or down, there are many ways to change up this recipe. 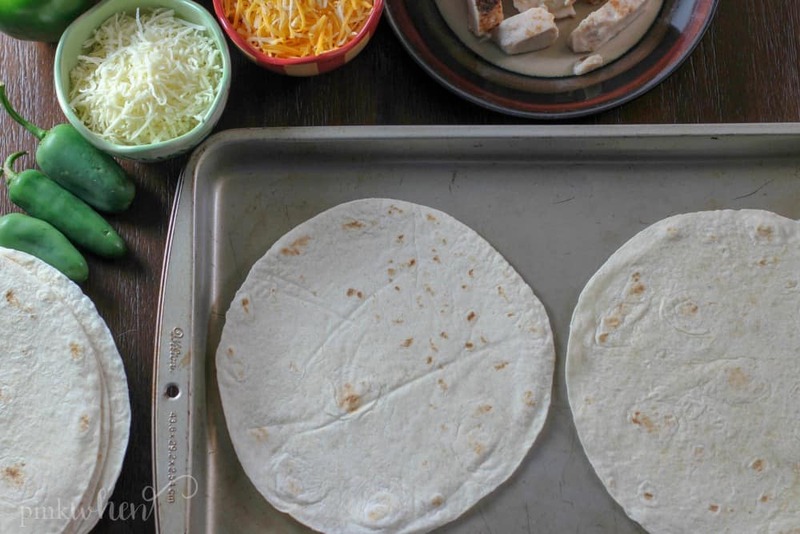 Place a flour tortilla on a cookie sheet. 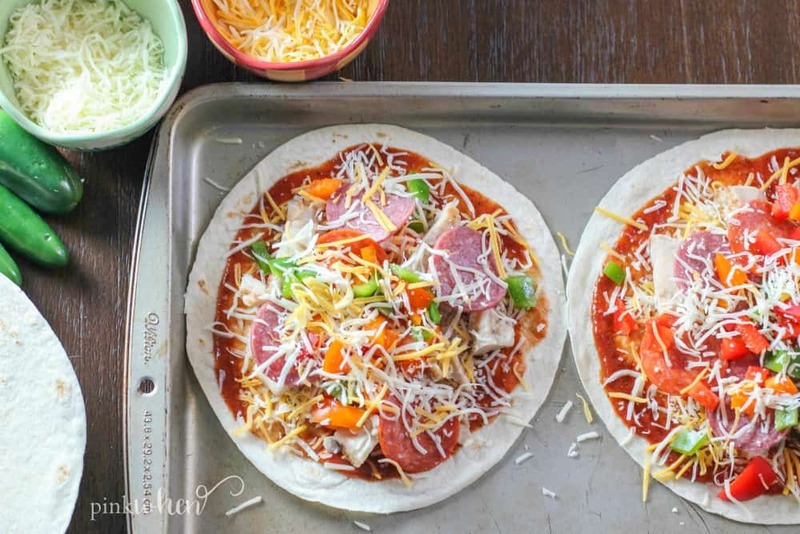 Spread pizza sauce over the tortilla. Sprinkle with cheese. Add pepperoni, salami, peppers, and more cheese. 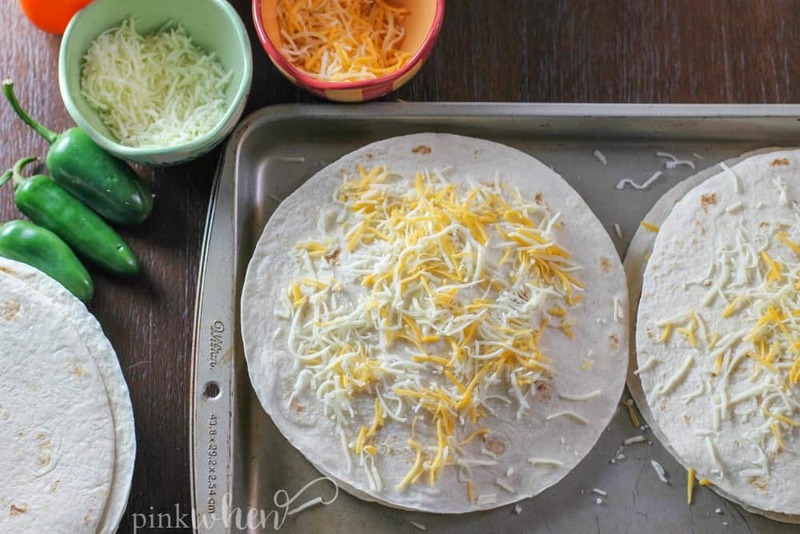 Top with a flour tortilla and sprinkle with cheese. Bake for 15 minutes until the cheese is melted and the pizza is cooked all the way through. This recipe is assuming 1 pizza is 1 serving. Adjust accordingly. Consider experimenting with different toppings. 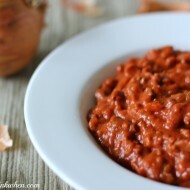 You might also like this Spicy Roasted Red Pepper Dip.